The Root DC's Marybeth Gasman has several solid pieces of advice and unconventional ideas to revitalize the struggling HBCU. 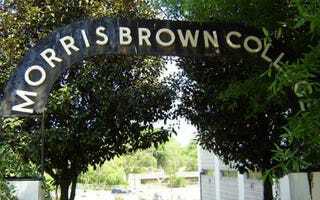 Morris Brown is a treasured institution established by former slaves and with a rich history of educating and empowering African Americans. But Morris Brown has a problem; actually it has several problems. First: The AME Church controls the institution, but it does not support the college in a manner that allows it to operate successfully. In order to function and get on its feet (steadily on its feet), Morris Brown needs the support of the AME Church in full. Second: Morris Brown has a board, led by a bishop in the AME Church. This board does not have access to wealth, and its members do not personally contribute to the institution at the level that is needed. It is time to completely reconfigure the board, bringing on people who are aligned with the needs of the college — including its educational and financial needs, and the occupational fields of Morris Brown’s graduates. Third: Although the small college has graduated some prominent alumni such as civil rights leader Hosea Williams and Pulitzer Prize winning author James McPherson, its alumni do not support it in any substantial way. (The alumni giving rate hovers at around 4 percent.) Morris Brown cannot survive without financial support from its alumni. Read Marybeth Gasman's entire piece at The Root DC.